Nintendo of America's Executive Vice President of Sales and Marketing, Cammie Dunaway, has said that the new DSi will sit on the shelves next to the current DS Lite as she thinks "there's an opportunity for both of them to coexist for some period of time." In an interview with Wired.com, she thinks the DS Lite still has a lot of untapped potential, so the two devices, with the new DSi packing a lot more media features, will not compete directly with each other. She pointed out that the US was still a big potential market for the DS Lite, as unlike the Japanese, who have one handset for every two households, US consumers are only currently averaging one in five. 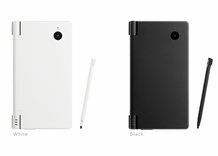 She also pointed out that the new DSi devices were likely to continue with the same price premium in Japan compared to the US, though no mention of how the prices will compare in Europe. "I don't know what the pricing is going to be here [in the US], but certainly it is going to be a premium over what our current DS is priced at," said Dunaway.